Did You Know That Doctor Means Teacher In Latin? After laboratory testing, we bring people through a curriculum, learning about gut health and detoxification, how to eat right, and more. We provide different classes to make it so people can be independent in their health for life once they have that extensive type of knowledge. Our Life Restoration Program includes direction for exercise and different types of training so you can begin to learn what type of fitness is best for your body. The detox helps prepare you for what happens about three-and-a-half weeks into the detox, which is when we give you your true life restoration program. We’ll do something for our patients that no doctor ever does, and no doctor will probably ever do again. We will create an in-depth lab analysis of everything. We’ll spend hours on this to break down everything that is going on inside someone’s body. Details are provided on what and why it’s happening. Hormonal imbalances are identified and the appropriate steps that need to be taken in order to improve their health, strengthen their immune system, rid them of their symptoms and poor health conditions all together. After the analysis, patients will receive specific supplementation, a personalized diet, and stress-reduction techniques to implement. Then, week-by-week, patients continue going through classes to learn the foundations of how to be healthy and how to take care of themselves for life. As an individual goes through the program, follow-up laboratory testing will be performed to assess how the body is improving. We’ll decrease the supplements and alter diet as they go through the program. The appropriate long term supplements needed will be prescribed. 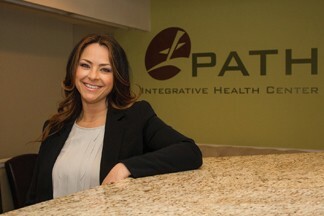 We want people to be able to keep themselves healthy, educated, and create an independence from our traditional sick care model of symptom treatment called “Health Care”. .
AT PATH Integrative Health Center in Chadds Ford,PA we emphasize the importance of improving your health in an effort to reduce the risk of or cure chronic disease including diabetes, hypothyroidism, rheumatoid arthritis, fibromyalgia, auto-immune diseases, inflammatory pathologies and more!